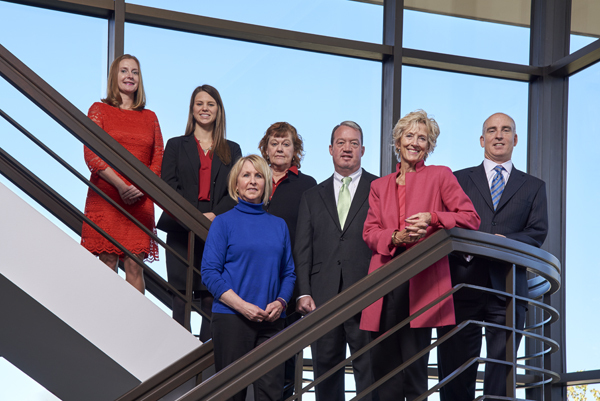 Our team is made up of specialists in investment management, financial planning, retirement planning, and estate planning. Cynthia has been working in the financial services industry since 1974. The knowledge Cynthia has gained through her many years of experience, enables her to deliver a high caliber of advice and service regarding your financial future unmatched by many others. Her experience addresses the needs of the individual, encompassing personal financial planning, investment planning, and retirement planning. She is also competent in the area of Charitable Gift Planning for non-profits and individuals. Cynthia advocates that the many elements of planning are both a service and an educational process that allows her clients to make informed financial decisions. Cynthia holds a B.A. from Carleton College, an M.A. from the University of North Carolina, and a Masters of Science in Financial Services from the American College in Bryn Mawr, Pennsylvania. Cynthia lives in Denver and enjoys the Colorado Symphony, golf, swimming, horseback riding and spending time on the Oregon Coast. Jon is a Partner of Hinds Financial Group and heads our investment strategy practice. He has been with Hinds Financial group since 1999 and a partner since 2004. He has years of experience and knowledge in investment and financial planning including portfolio construction, portfolio tax-management, and sub-advisor due diligence in addition to working with clients and their long term planning. He focuses on working with retirees, business owners, and professionals to establish long-term strategies that will help ensure successful financial transitions in the future. Jon's approach to client needs could be termed “open architecture.” In a world of complex financial products and strategies, he doesn’t believe in a one size fits all solution. It is usually a thoughtful combination that best fits clients. He uses his knowledge of the economic terrain and the financial services industry to closely align solutions with each individual's outlook on the world. Whether utilizing fixed income portfolios, mutual funds, exchange traded funds, stocks or alternative strategies, Jon will use tools to help clients develop a strategy that fits. He meets with families on a regular basis to prudently monitor the appropriateness of strategies for people as their lives change. Jon holds a Bachelor of Science degree in Accounting and Finance from the University of Colorado in Boulder. He has been awarded the 5280 Magazine Five Star Wealth Managers for Denver recognition for three consecutive years in 2009, 2010 and 2011. During his off time Jon enjoys golfing, skiing and spending time with friends and family. Mark joined Hinds in July 2012. He started his career in the securities industry in 1995. He brings experience to the firm, including roles in securities trading, investment analysis, financial operations and client management. Mark advises clients who are planning for retirement and prepares financial plans that match the client’s resources to their stated goals. He also produces written content for the firm including investment outlooks and market commentary. Mark serves on the firm’s Investment Committee with particular focus on fixed income securities. Mark is a Certified Financial Planner™ and holds FINRA Series 7 and 66 registrations. Brittany Christians, Registered Financial Assistant is here to service our clients’ accounts; resolve issues, and provide support. She can also provide guidance and answer questions about your Long-Term Care needs. She can set you up for online access support. Kim began her career with Hinds Financial Group inn 1998. She will most likely be the first point of contact for clients. She will make sure that anyone who contacts the office will be in the hands of the person most likely to help them. Kim may also be the person to help clients schedule meetings. She is also available to answer any questions regarding paperwork, transfer of accounts, timeframes or any other service items. Kim has completed the FINRA Series 6 examination and is a registered representative.